HMD Global Android announced the launch of the Nokia 7 in the Chinese market, a device where 5.2-inch IPS panel is attached to a Full HD resolution of 1920 x 1080 pixels protected by the Gorilla Glass 3 glass and powered by the Snapdragon 630 SoC (8x Cortex-A53 @ 2.20 GHz + GPU Adreno 508) that can be paired to 4GB / 6GB of RAM keeping the 64GB of internal storage in both versions expandable by means of a microSD card. The photographic section consists of the primary camera of 16 megapixels with an aperture F / 1.8, a size of 1.12um for the pixels, backed duel LED flash and accompanied by the fingerprint reader. On the front we have a 5 megapixel sensor with an F / 2.0 aperture that covers an 84º field of view. The information about the Nokia 7 complete with the connectivity of 4G LTE Cat.6, WiFi 802.11ac, Bluetooth 5.0, GPS, NFC, a USB Type-C, 3.5mm jack connector for headphones, a 3000 mAh battery endowed of the fast charge with chargers of up to 18W, the rear chassis has a tempered glass finish with Gorilla Glass protection. In terms of sound, the new smartphone features OZO technology to capture an immersive audio. 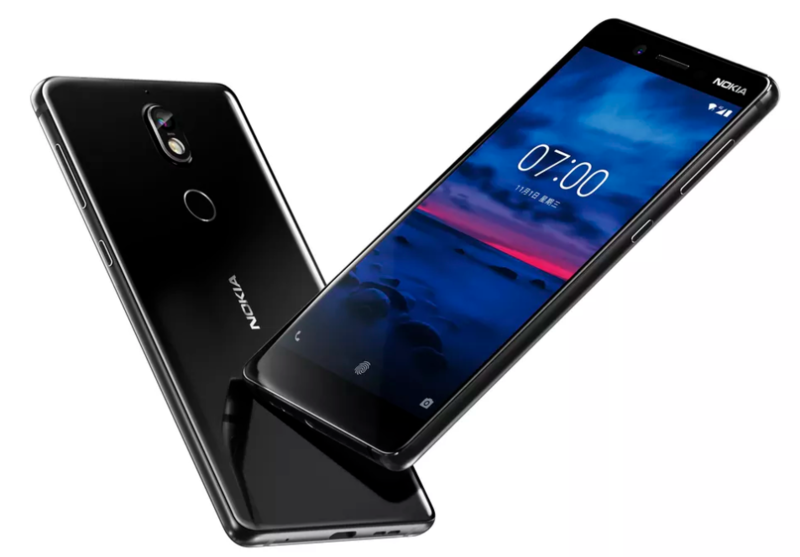 Nokia 7 will be available on October 24 in China to a local price at the exchange of 320 and 345 euros (4GB / 6GB RAM) in glossy black or matte white. At the moment we have no information about when (or if) the Nokia 7 will be sold in other countries.